Many suppliers offer a complete bay packages containing all the motorcycle mot equipment required by the DVSA to gain an approval for a Class I/II testing bay. 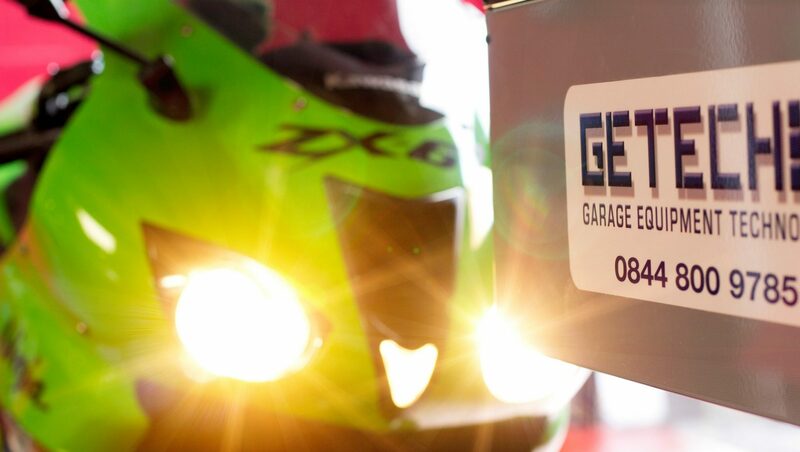 A GETECH package for motorcycle testing includes a top specification double laser headlight tester, a bi-directional brake tester complete with a printer and integrated weighing system. We also include the small tools, sign pack and 12 months calibration of the entire bay. In addition our packages come with a project management service which includes completion of the application paperwork including where necessary planning applications to local authorities. The biggest advantages of opting for a GETECH bay are that not only are you dealing direct with the equipment manufacturer and our 5 year extended parts warranty . In fact the only thing we don’t provide as part of the installed package* are the customers who will eventually use it! Next PostNext GETECH Garage Equipment – The Obvious Choice.